If you have logged into your review portal and are unsure of what to do next, here are some helpful steps to get you started. Please note that review portals can look very different from one another, and that this is just a guide based on a generic-looking review portal. Check if there are side-panel instructions provided by your program administrator. Often, your program administrator may provide helpful instructions on how to navigate your portal, which are specific to your program. The instructions could be located on the login page and/or the first page you are brought to after logging in. Go to View Page. 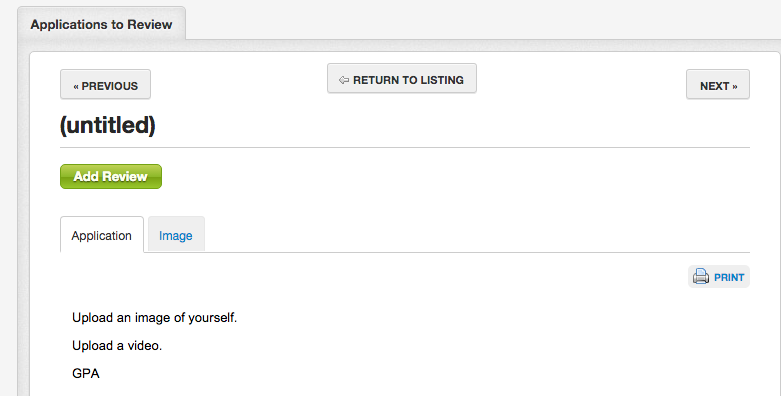 From the Listing page, click the green Review button next to any one of the applicant's name. This will bring you to the review page. Review Application. 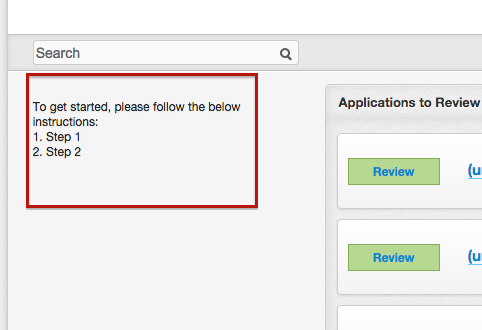 Usually, the application will be located just above, just below, or right next to the review form. You can scroll through and review the submission and any attachments. Add a Review. 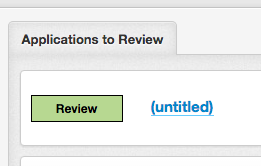 When you are ready, you can click the green Add Review button in order to access the review form. Sometimes, the review form will already be present without clicking this button. 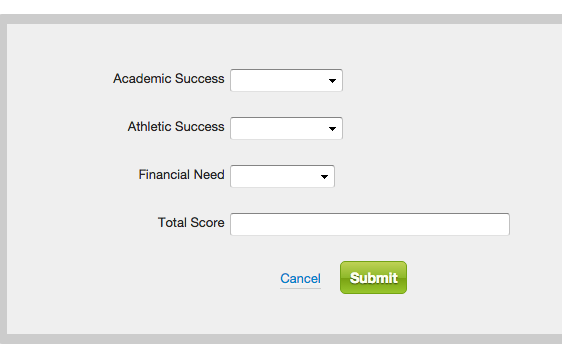 Click the green Save/Submit buttons to save a draft or fully submit a completed review. Use the Previous, Next, and Return to Listing buttons to navigate to other applications. At the top of the page you will see these buttons, which will allow you to go to other applications. Please contact your program administrator for further assistance if you still need help.